Kalyra looked from me to Steve, unsure whether she should take the walkie-talkie from this bearded stranger. “C’mon, let’s go.” After an encouraging “it’s safe” nod from me, she followed tour guide Steve to join the rest of the group, walkie-talkie in hand. 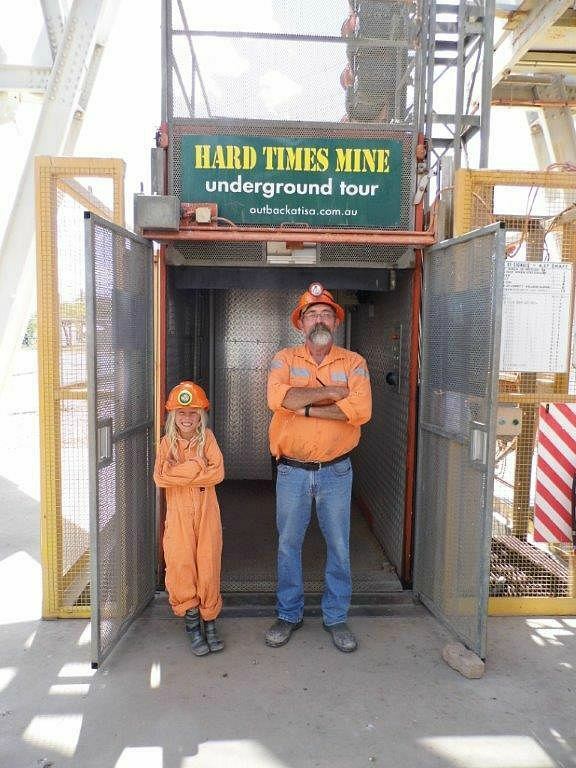 She was the only child on the mine tour, but Steve quickly made her feel important by announcing her as his little helper. Steve sent her back to pick it up for him. She was hooked from then on, following him around helping to hand out helmets and belts to the rest of us as we suited up to go underground. We weren’t going down 1.9 kilometres like the real miners do just across town at the real Mount Isa mine. We were just going down a small portion of that in the fake mine. The fake mine is an exact replica of what the working mines look like and was created specifically for tours to keep them out of the real mines and a little safer! Steve has worked in the mines for over 40 years extracting copper, lead and zinc; he was the perfect guide to share with us what the mining experience is like. 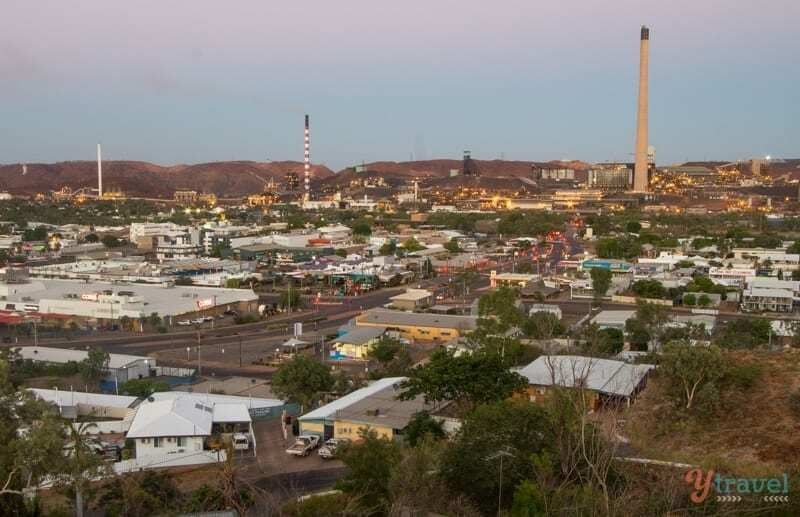 Mount Isa has the biggest underground mine in Australia and is the world’s biggest producer of copper. I must admit I wasn’t sure about doing the mine tour. I’m not that interested in the tearing up of the earth. I chose to sit out of the open cut mine tour at Tom Price in WA, sending Craig to enjoy it on his own. But, Kalyra wanted me to go with her, and not one to pass up an educational opportunity for her I agreed. 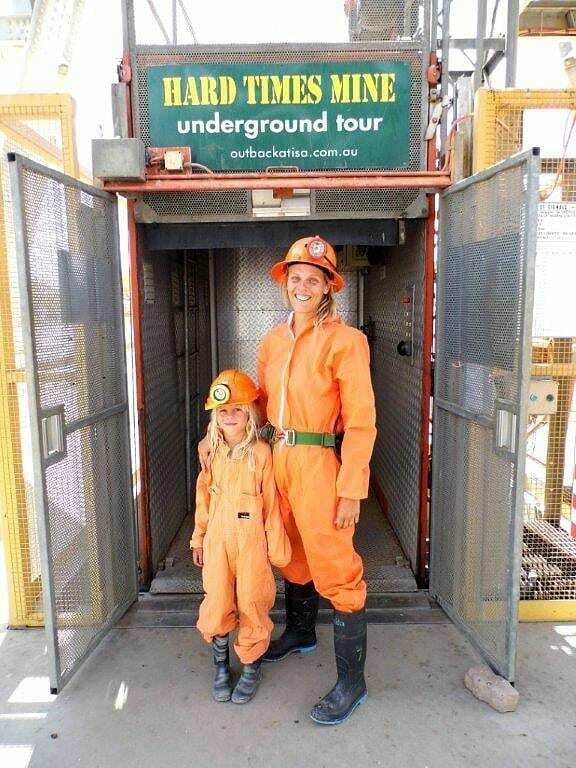 Let’s face it she looks far too cute in an orange miner’s suit to say no. From the minute we put on those orange suits, Steve’s classic Aussie dry humour came out with a story of a group of Swedish travelers who taught him a little about new tour rules and procedures. Steve returned after a three year break from guiding the tours, completely oblivious to the fact they had changed the hot orange overalls to light, see-through disposable ones. He gave his usual spiel about taking off your undergarments before putting on the orange overalls to avoid overheating. He soon realized the change in protocol when they emerged from the change rooms in the new see through gear! Whether it was an embellished story or not, it got a roar of giggle from all of us that did not stop throughout the tour as Steve shared with us stories of tour mishaps and miner’s pranks in their attempt to make an incredibly difficult job have pockets of light, mate-ship and humour. Because there is no light underground, and unlike the opal mines we visited in Coober Pedy, there is no bloody relief from the heat either. In fact, the further down you go, the hotter it gets thanks to the heating elements of copper. At the greatest depths of the real mine it can reach up to 70 degrees celcius. The mines have an amazing network of floors and tunnels that can hold large machines and tractors that clear the rubble after the daily blasts that happen at 8am and 8pm. Sometimes they’re large enough for the local Irish Club to start rumbling. You can pick the locals from the tourists as they continue eating their food and talking while the tourists start trembling with white faces. The fake mine is not as extensive with about 2km of tunnels and we walked around seeing the different equipment that was used and getting the opportunity to use some of the drills ourselves. Kalyra continued to be Steve’s little mate. He let her have first try of everything and climb up onto the tractors to get special driver’s seating as he regaled us with tales. She giggled hysterically, which surprised me as I thought they’d go over her head. She especially loved having a few biscuits in the mess, the place the miners stop to have their break between shifts with a game of cards and a coffee. She could not wait to race out and tell her father all the stories after it. I felt a deep sense of gratitude during the tour, which really surprised me. I’ve kind of had a disregard for miners before, not really a personal thing, but just not liking mining for it’s waste of resources – and that hasn’t changed at all. I’m hoping that we can wake up to ourselves and become world leaders within the renewable energy industry soon. We’ve got enough bloody sun and wind for it. But, this tour allowed me to have an appreciation for the intense and dangerous work miners do. It’s the mining industry that has held up our economy through the global financial crisis, which has ultimately given me a lot of opportunity. So I appreciate these men and women for all their hard work. It made me appreciate being a travel blogger and how easy I have it. I appreciate Steve for being a wonderful tour guide. He still works in the mines and chooses to volunteer as a tour guide on his days off. Isn’t that just amazing?! He was a decent, funny guy and made the tour. I was so grateful for the way he welcomed Kalyra in and made her feel a special part of the tour. As a result, she came out beaming about how good it was and she learned a lot. The tour went for three hours and she was engrossed the entire time, which is not an easy thing for a seven year old. We had a fantastic afternoon exploring the mines together on our Kalyra and Mummy date. If you’re passing through Mount Isa, I highly recommend you do the mining tour and ask for Steve as your guide, although I’m sure they are all terrific. I actually didn’t mind Mount Isa. It’s a mining town, so it’s not going to be pretty, but it’s not as ugly as some others. I’m looking at you Port Headland! I found the people to be so warm and friendly. It was a great start to our Outback Queensland adventure. If you head up to City Lookout at sunset, you’ll catch quite a pretty one. You might even like the smoke stack silhouette looking like a passing ship in the night. And just before sunset, I preferred to turn the other way and watch the hills turn a golden pinkish colour. 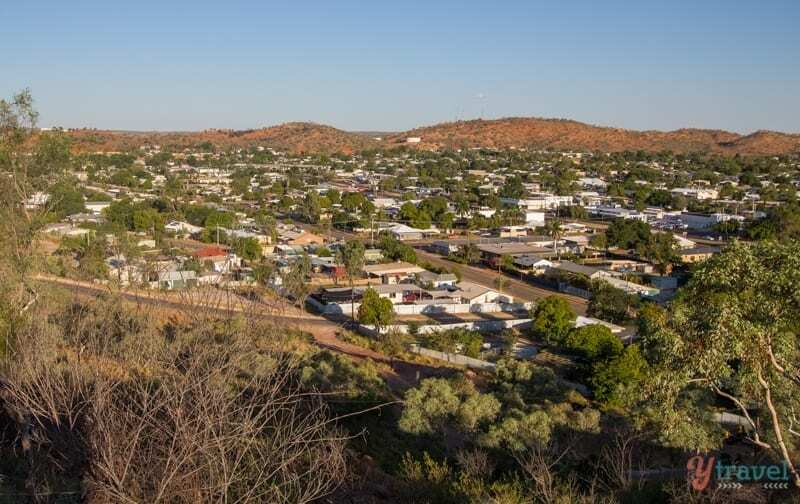 Telstra Hill, just out of town, is meant to be another great spot for sunset and amazing 360-degree views into the sparse outback. The gate can sometimes be closed so you’ll have a 1.2km walk to the top. 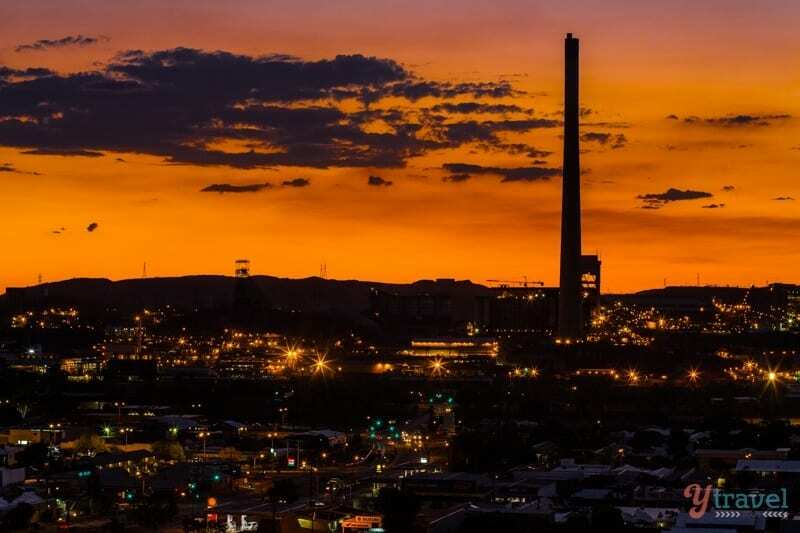 The Mt Isa sunset made our list of 28 best sunsets in Australia. We’ve heard the Mount Isa Rodeo is not to be missed. I’m keen to check this out one day. Our friends went and had a fantastic time. We went for a drive out to Lake Moondarra which was pretty and BLUE. There are plenty of peacocks walking around to feed and if you have a boat you can get out on the lake. 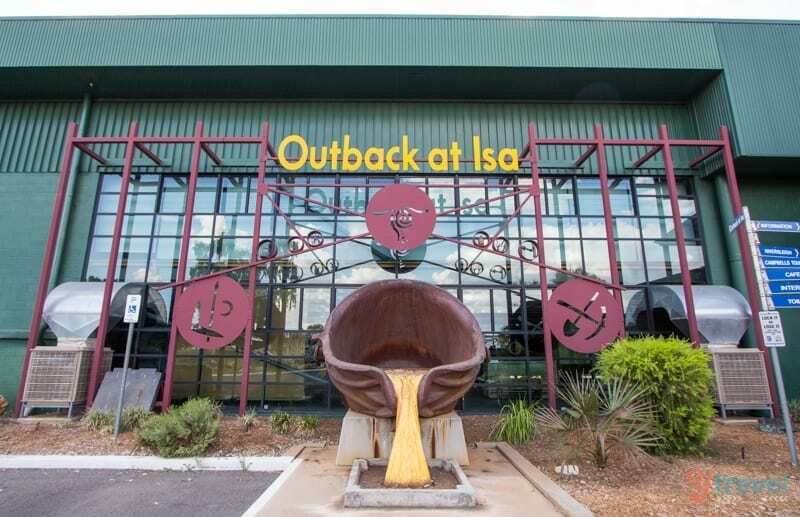 Drop into Outback at Isa for a truly hands-on experience. 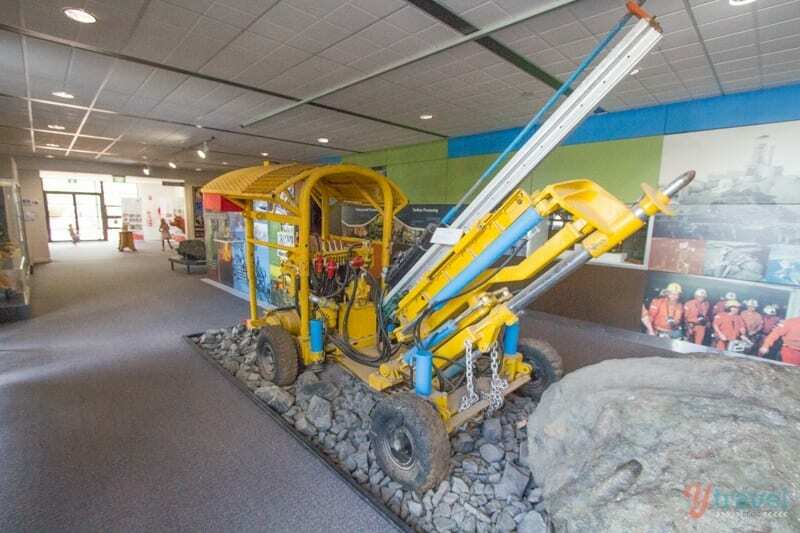 Not only is this the place to do your underground mine tour but they’ve got other interactive exhibits. And inside is the Isa visitors centre. 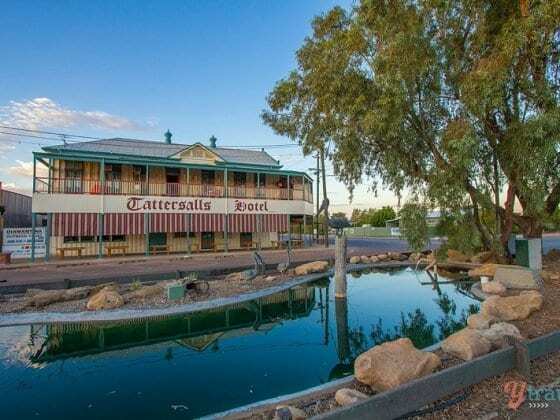 Isa Experience – gives a fascinating insight into the mining industry development to the cultural diversity of Mount Isa shown in the theatrette movies. 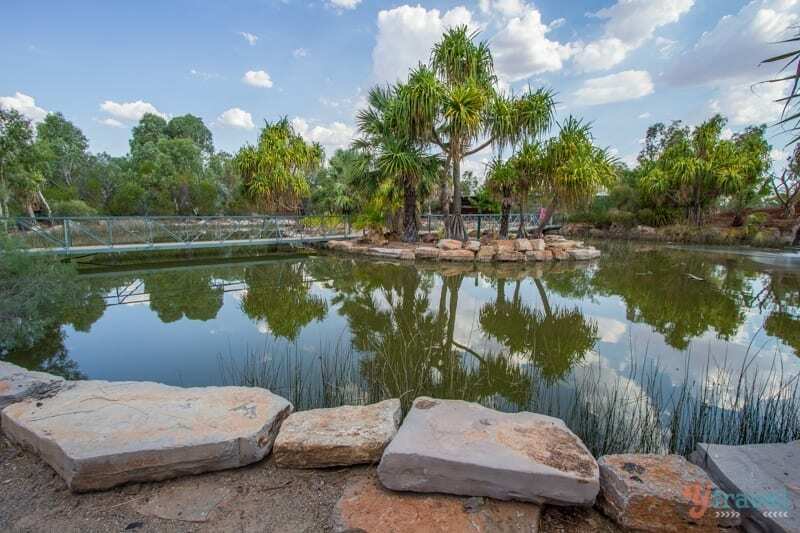 Outback Park – is an extensive creative landscape that captures visitors attention, with a central lagoon surrounded by lush naive plantings and a Lawn Hill gorge inspired waterfall. Riversleigh Fossil Centre – educates and interprets for visitors the fossils extracted from the nearby Riversleigh fossil fields. 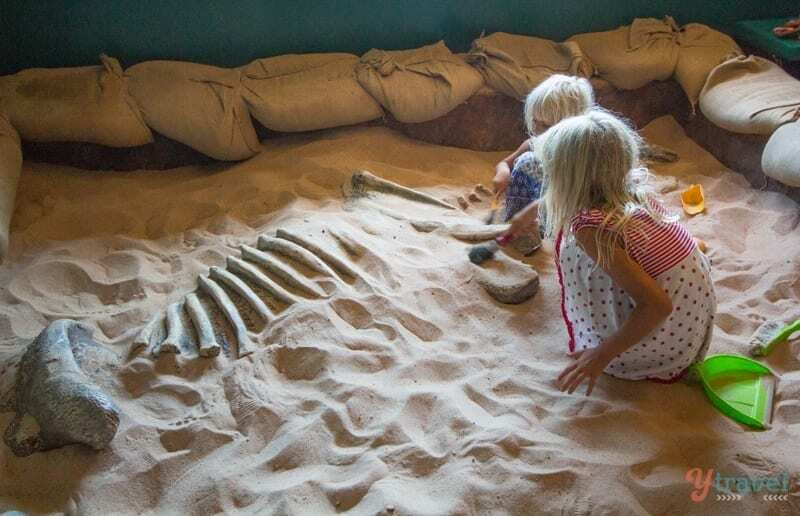 Your kids will get a kick out of uncovering their own fossils in the large sand pit. 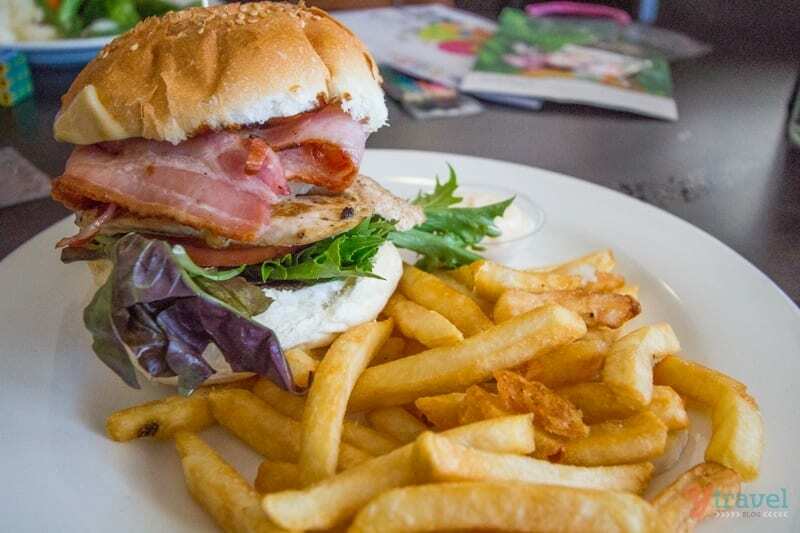 The Isa Hotel in the heart of town has the best kid’s meal we’ve had in Australia. They were gigantic and the kid’s lasagne was amazing. It also came with cool activity packs and all for just $9.50. (This is cheap in Australia). The kids will appreciate the playground and we appreciated the hamburgers. A big ringing bell for Bambino Espresso, which is half cafe, half boutique, tucked away on Miles Street. 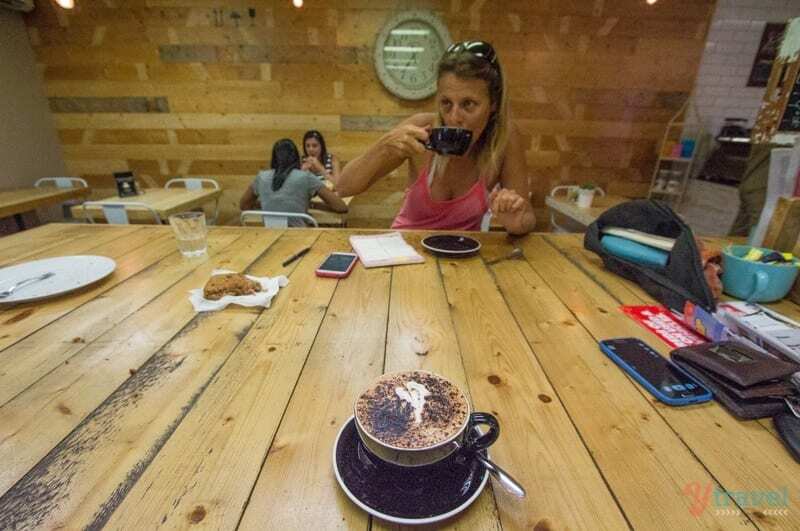 It was one of the best coffees we’ve had in Australia. Melbourne quality. Ding ding ding! Thanks to our friend Alison and former resident for the recommendation! Lauren Norel – for the girls there is an amazing play park in Mt Isa near the PCYC. It was fantastic for our kids. Also remember the whole town closes for Sunday. Mary Ann Hill – Lookout day and night, under ground hospital. Mine tour and if u go via Boilia go to tourist center an see the show about the minimum light. Love it.been twice and will go again. Alison Harris – Go past Moondarra lake and follow the road to “peacock park” take some bread and feed the peacocks, the girls will love it. Sarah Barker – There’s a great folk/live music club on every couple of week called The Shack that always has lots of great local bands playing. Vicki Anne Illsley – Go to the underground hospital, fascinating! Dawn Peever – My sis inlaw owns Terrace Gardens Function Centre on Dutchess Rd! It truly is an oasis in the desert. Check it out! 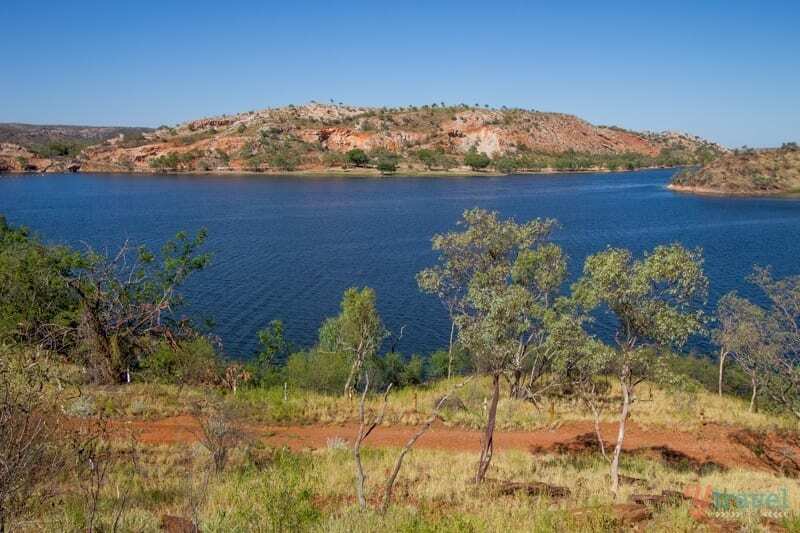 Alli Angus – Lake Moondarra, Lookout, Outback at Isa, Buchanan Park. 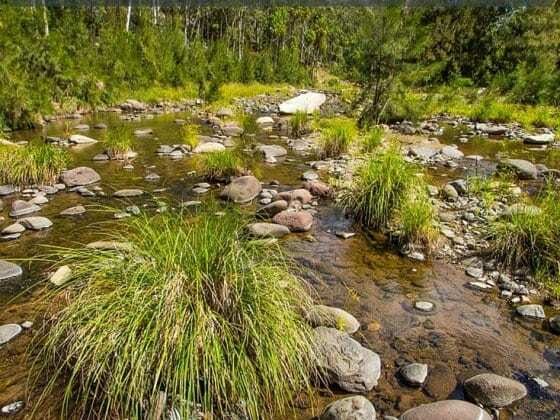 Helen Ladhams – You could visit the little town and lake where I grew up (and swam with the freshwater crocs at Gunpowder Creek and Lake Waggaboonya) – Gunpowder..120km north of Mt Isa. I hear it’s still a beautiful place. We camped at the Discovery Holiday Park on the edge of town and an easy drive in. They’ve got powered sites, a camp kitchen, cabins, villas, a quiet and relaxing location and friendly managers! So there you go. 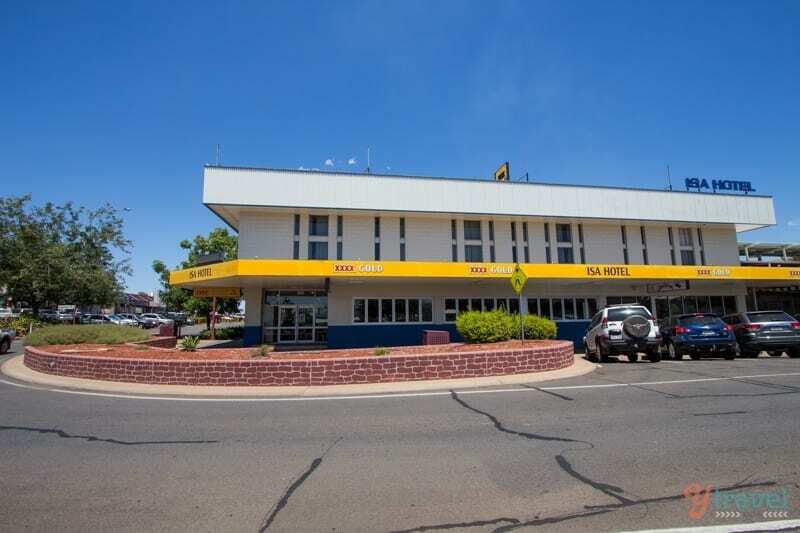 Mount Isa is surprising! I arrived with the attitude that I wouldn’t like it and not understand why all these people kept jumping out on Facebook saying how great it was. Old friends lived there for years too and loved it. I drove out of there with a fairly favourable opinion of it. I couldn’t live there, but I’d be happy to return and experience the rodeo one day. It sounds like a fun Aussie experience. Always travel with a mind open to surprises. Is this Queensland’s best kept secret? 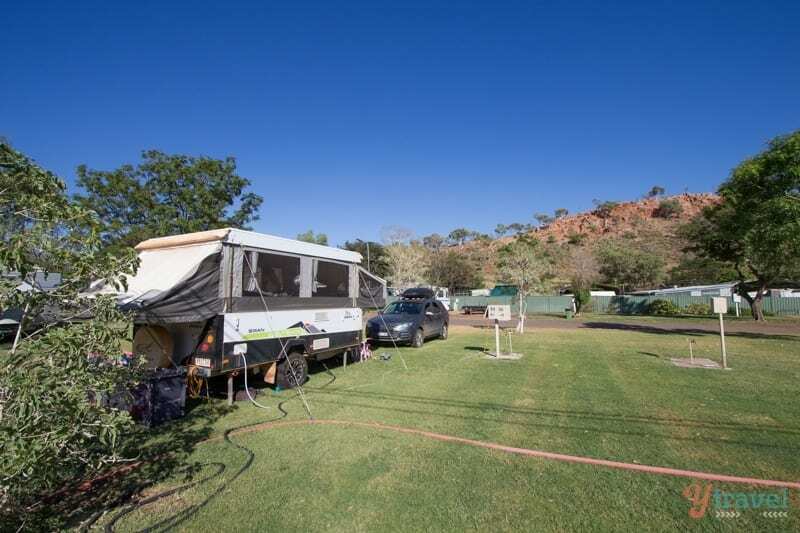 We visited Mount Isa in partnership with Tourism Queensland as part of our Outback Queensland drive. 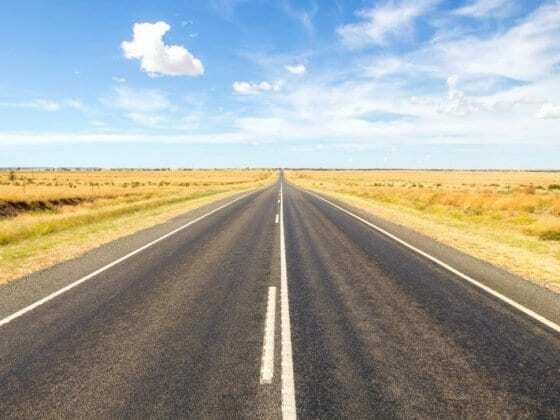 Stay tuned for more upcoming posts from Outback Queensland. My home town thank you for sharing your visit. Amazing photos too, thanks for sharing, I loved your blog! Very good, the funny thing is that everything seems so unnoticed that is so gosoto of here, congratulations for having shared with us. Simply amazing. Beautiful places to be with our families.